And I’ve gone from writing about how quickly Little Pumpkin is growing up to a week of having my baby back in my arms. Thankfully she’s turned a corner and seems to be on the mend. Her smiles are returning and, when our backs were turned she managed to cram her mouth with Cheerios and raisins. Unfortunately it’s now the Monkey who is curled up on the sofa, but he seems to be faring a little better and is being very brave. So, in the meantime, I thought I’d share the results of a fun afternoon’s crafting with a friend. 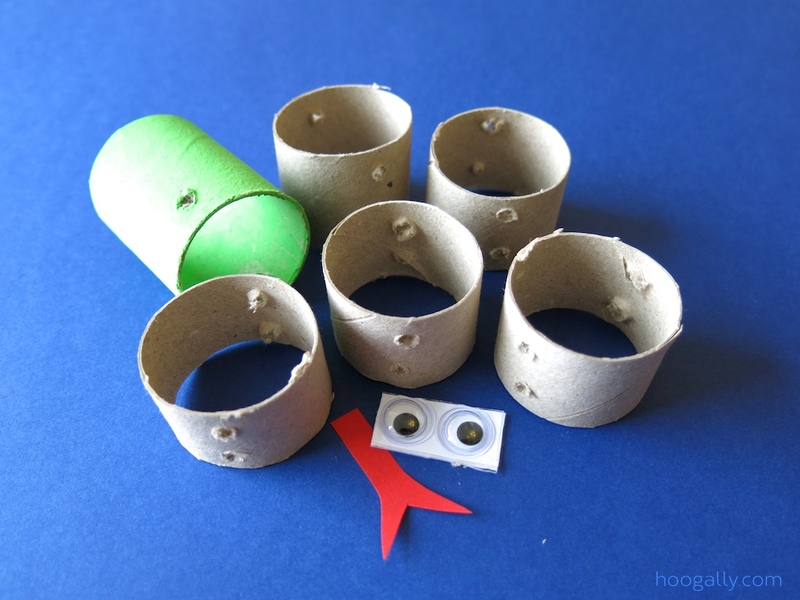 Take some cardboard rolls. Add a few bits and pieces. And a whole lot of imagination. And ta da! A pair of slithery snakes. 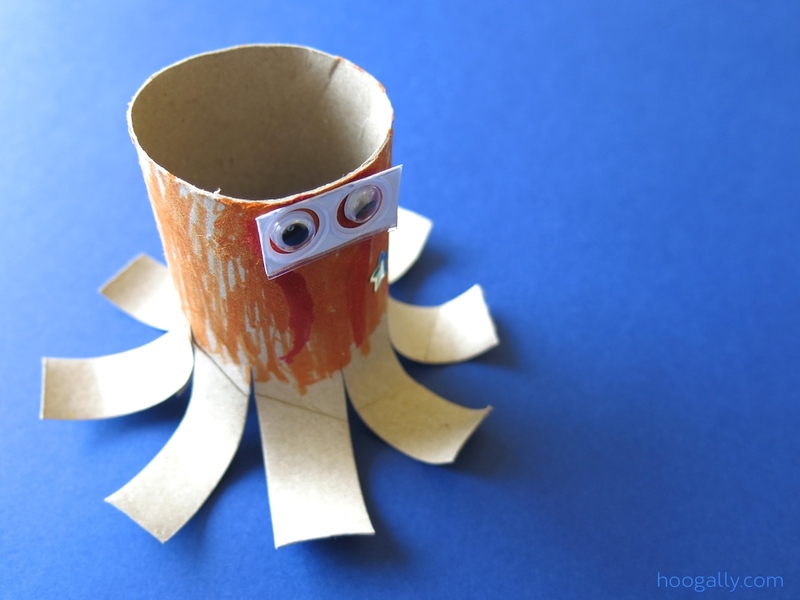 And the lesser known toilet roll octopus – with the optional snazzy glasses upgrade. I love how the Monkey sees the potential in bits of rubbish that I would discard – in this case the leftover sticky bits from a sheet of googley eyes. Hope everyone is feeling better soon. Love the snakes! 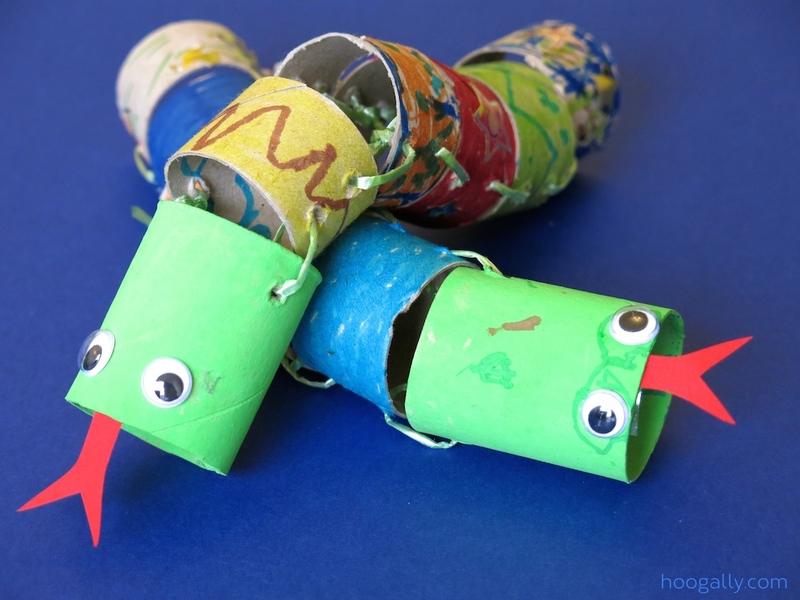 Have been collecting loo rolls for some craft activities with my 3yo’s. Thanks for the ideas. Love the snakes!